Phil Brady's Bar & Grill, a long time Government Street hangout spot, hosts live music every weekend. 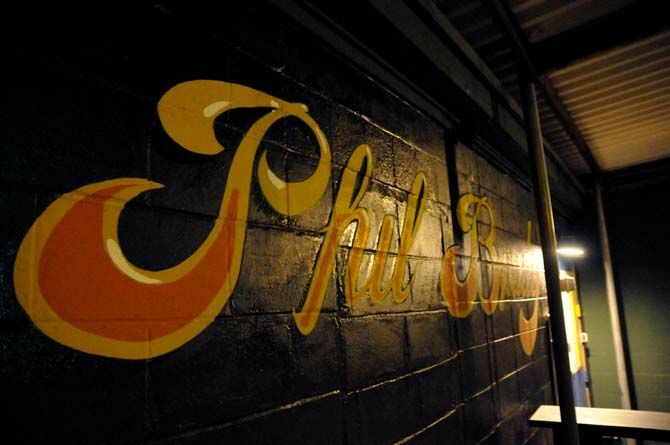 According to owner Joe Hall, Phil Brady’s is Baton Rouge’s longest continually running nightclub. The Irish pub-style bar with low lighting and a casual atmosphere, located at 4848 Government Street, draws everyone from blues musicians to college students. 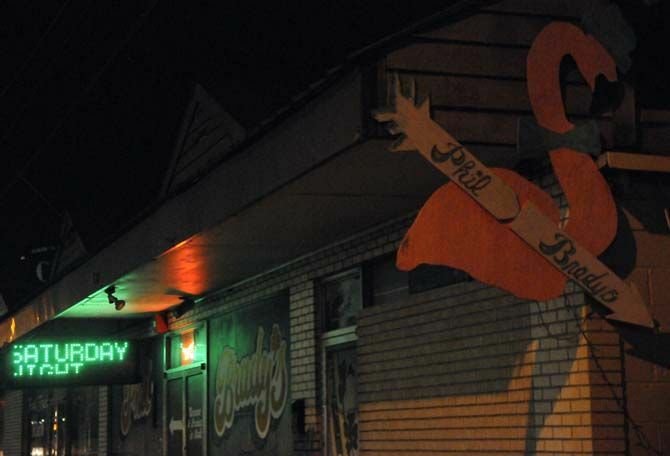 Brady opened a bar called Magoo’s on Chimes Street in 1974, but he moved his business to its current location in 1978 and renamed it Phil Brady’s. Its current location was formerly home to a bar named Angelo’s, which operated for 26 years. Phil Brady decided 28 years ago to dedicate one night every week to blues music. Every Thursday night, dozens of local blues musicians gather for an all-night, freeform blues jam. If you play an instrument and you’re interested in the blues, show up with your gear on a Thursday night for a chance to get on stage to jam with some of Baton Rouge’s best blues musicians. Thursday night jam founder Shannon Williford is set to return to the bar on October 2 to host that night’s jam. On Mondays, the bar offers fully dressed $1 hamburgers. “A $1 burger from Phil Brady’s is a great option for college students before or after a night at the Radio Bar too, since it’s less than a mile away,” Foley said. The bar also often offers open mic nights earlier in the week, which gives aspiring musicians a chance to bring their owns band to get up on stage, even if it’s their first gig. Every Friday and Saturday night, Phil Brady’s hosts live entertainment, typically blues-influenced or hard rock bands, but including all kinds of art, such as films and other performances. Though patrons only have to be 18 years old to enter the bar, it’s predominant crowd is older than college-aged, with patrons ranging from construction workers and full-time musicians to doctors and lawyers. “Occasionally, even Mayor Kip Holden shows up,” Foley said. Also, students lamenting the University’s new smoke-free policies may find some solace in the fact that the bar still allows smoking indoors, though more and more bars are disallowing it. Phil Brady’s charges a $5 cover on Thursdays and $5 to $10 for almost all other live music events. The next Thursday night jam will be tonight from 7 p.m. to 2 a.m.